Need a source of holiday inspiration? 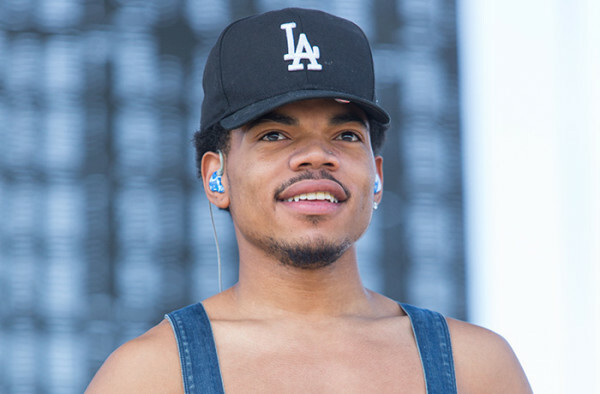 Try Chance the Rapper. According to Mic.com, the Chicago rhymesayer is making it his business to bring at least 1,000 coats to his city’s homeless population via a recent partnership with the Empowerment Plan, a Detroit-based nonprofit organization that employs homeless people from local Detroit shelters to create long, self-insulating coats that transform into sleeping bags and totes. The project, known as Warmest Winter, launched Wednesday (Dec. 21) with the goal of bringing the coats to Chicago by asking folks to sponsor a coat with a $100 donation for the manufacturing of the coat. Broken down, the money will help cover the labor, materials and overhead expenses involved in creating the coat. To date, the Warmest Weather project has raised more than $43,000, which has funded the manufacturing of 430 EMPWR coats. The coats are noted for being water resistant and self-heating, in light of them being constructed with upcycled automotive insulation and durable work fabric from Carhartt. When they are not being worn, the coats can be carried as an over-the-shoulder bag. Founded by Veronika Scott, a social entrepreneur, the Empowerment Plan started distributing the EMPWR coats in Detroit in 2011 with 10 formerly homeless women the organization initially employed, according to The Huffington Post. Since its creation, the Empowerment Plan now employs 20 formerly homeless individuals, who have created more than 9,000 coats. The organization’s partnership with Chance the Rapper allows for its coats to come to Chicago with an ultimate goal of opening an Empowerment Plan factory in the city and offering homeless Chicago residents a chance to earn a living wage. tickets to one of his concerts, a Chicago White Sox game and a Chicago Bulls game. Within hours of Chance the Rapper’s first tweet about Warmest Winter, $7,500 — or 75 coats — had been raised, the Los Angeles Times reports. The support comes at a troubling time in Chicago, which is experiencing a harsh winter. Mic.com references findings from the Chicago Coalition for the Homeless, which reveal that an estimated 125,838 Chicagoans were homeless during the 2014-2015 school year. The National Coalition for the Homeless found that out of the homeless population in America, about 700 people die of hypothermia every year. Estimates by Warmest Winter state that for each 1,000 coats funded, it can save 14 lives. The initiative is set to run until Jan. 13.
but I had been hoping too start my own blog in the near future. Anyway, should you hwve any ideas or tips for new blog owners please share. Please be advised – this has not been a ‘harsh’ winter in Chicago. We, along with the entire country, are enjoying much warmer than usual weather. The difference with us is that we know we’re going to have to pay for this warm weather sooner or later. That doesn’t denigrate from the story, just a correction on facts. It’s a brilliant idea, and God bless him [and the originators] for bringing it here.